There are many people throughout history who had the spirit of an adventurer and decided to explore the unknown. In some cases, they risked their lives to make their contributions recognized by the world. From Columbus’ discovery of the Americas to Hillary’s quest up Mount Everest, the names of these great pioneers will remain important for centuries to come as the most famous explorers of all time. Read our list below, which is organized in order of prominence and importance, to find out more about what these seekers contributed for the sake of humankind. The name of Venice native Marco Polo is forever linked to the world of exploration. In a book entitled The Travels of Marco Polo, the adventures and journey of the man is detailed. Marco explored the continent of Asia where he met Kublai Khan. Although Italian by birth, maritime explorer Christopher Columbus sailed across the Atlantic Ocean and discovered the Americas under the Spanish emperor’s name. During his first voyage, he led three Spanish galleons, the Niña, Pinta, and the Santa Maria. All in all, between 1492 and 1503, Columbus sailed between Spain and the Americas. Spanish conquistador Hernan Cortes conquered and colonized parts of South America. Cortes was successful in reaching Mayan territory along the Yucatan Peninsula, leading to his conquest of Mexico. Most notably, he is known for his overthrow of the Aztec empire. It must be noted that Cortes used his own money for the expeditions he undertook, leaving him heavily in debt. One of the men responsible for establishing the earliest settlement for the English in North America. As an explorer, John Smith navigated the rivers between the Chesapeake Bay and Virginia. He also helped map out the areas of New England and Chesapeake Bay. Another Spanish conquistador whose main claim to fame is his expedition to South America and the overthrow of the Incan empire. He ventured to cross the Atlantic in search of the riches that the “New World” promised, even to find the riches of El Dorado. His name does sound very Anglo, but this Italian explorer contributed to the Age of Discovery. His real name is Zuan Chabotto, and under the auspices of King Henry VII of England was instrumental in the discovery of sections of North America. Cabot was instrumental in exploring a Northwest Passage in North America. Daniel Boone was a man, a real man… so at least the song goes. In reality, Boone was an explorer, frontiersman, and pioneer who blazed the trail from Virginia to Kentucky through the Appalachian Mountains. He fought during the American Revolution, elected to the Virginia Assembly, and of course became a legend in his own time. English Commander Henry Hudson tried to establish a passage through the New World to reach China. The Dutch East India company financed his voyage in search of that route. Instead, he found himself establishing a Dutch Colony in what is today New York City. He and his son perished when some of his men mutinied against him. English Vice Admiral Sir Francis Drake is known for several exploits during his time. He is best known for being the second man to circumnavigate the world between 1577 and 1580. The other things Drake is known for other than being a captain, he was a navigator, politician, a privateer, and slave trader. As one of the earliest known Chinese explorers, Zheng He (Cheng Ho) led voyages that brought him through Africa, the Middle East, South Asia, and Southeast Asia. His exploits are written in book entitled Biography of Our Homelands Great Navigator, Zheng He, by author Liang Qihao in 1904. In search of gold and silver, along with trying to find a short cut to China, Spanish explorer and conquistador Hernando de Soto ends up exploring the Southeastern portion of the United States and thereby crossing the Mississippi River ending up in Texas. Vikings and Norse explorer Leif Ericson are forever linked to one another. Ericson is the first European to set foot on North America, even before Christopher Columbus who did it 500 years after Leif had done so. One of the earliest North America settlements that this Norwegian helped establish was on what is today Newfoundland, Canada. Norwegian explorer Roald Amundsen led an expedition that brought them to the Antarctic and thereby his discovery of the South Pole in 1911 and years later leading another team to the North Pole. In addition, Roald is known to have been the first to go through the Northwest Passage, a route that begins in the Arctic Ocean and ends in the Pacific Ocean. Amundsen is one of four men considered leader of the Heroic Age of Antarctic Exploration. 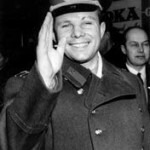 Gagarin, a cosmonaut under the Soviet Union has the distinction of being the first man to travel into outer space. He orbited the earth on his Vostok spacecraft in April 1961. 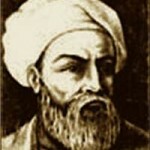 The stories of Ibn Battuta’s adventures is chronicled in a book entitled Rihla which means “Journey.” In a course of more than 30 years, Battuta visited various parts of the Asian and African continent which include China, South Asia, Horn of Africa, and the Middle East to name a few. Ibn also visited parts of Eastern Europe.